A lawsuit by B.C. environmentalists alleges the province's government illegally gave out water permits to companies like Encana without having the companies go through the rigorous application process. A pair of environmental groups allege the British Columbia government is skirting its own laws by allowing energy firms like Calgary-based Encana to spend years using large quantities of fresh water for natural gas extraction without having to go through the rigorous process of applying for long-term water licences. 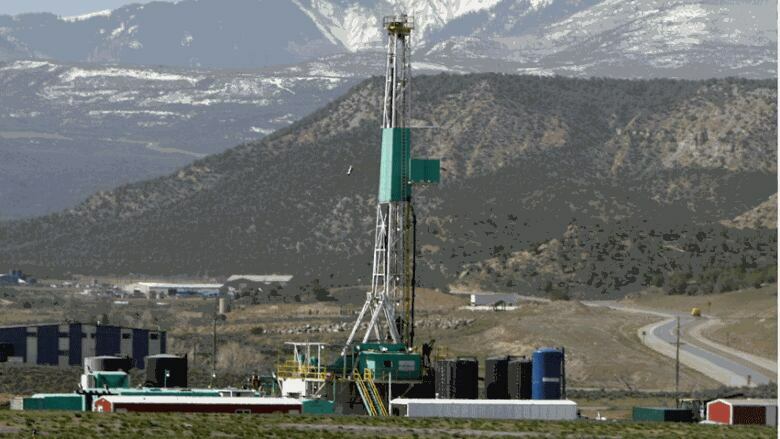 The lawsuit represents the latest attempt by environmental groups to target the controversial practice of hydraulic fracturing, or fracking, which opponents say cause a litany of problems like water pollution and climate change. The case is also complicated by the fact that recently tabled changes to provincial water laws appear to allow the practice now being scrutinized in court, meaning it's unclear what effect the case could actually have. The Western Canada Wilderness Committee and the Sierra Club of B.C. were in front of a B.C. Supreme Court judge Monday alleging the government has been "systematically" breaking the law and asking that a series of short-term water approvals granted to Encana be thrown out. Under provincial water legislation, resource companies that require fresh water for their operations can either apply for a long-term water licence or obtain a short-term approval that lasts up to two years. The environmentalists' lawyer, Karen Campbell, said the process to obtain a full licence requires that people who are potentially affected by the licence be notified and be permitted to provide input or lodge objections. In contrast, the Oil and Gas Commission has the ability to grant short-term approvals on its own. Campbell said the Oil and Gas Commission routinely issues the same short-term licences more than once, allowing companies to use thousands of cubic metres of water for years without going through the full licensing process. "What we're looking at is, in effect, each of these approvals ends up being one long approval," Campbell, a lawyer for the group Ecojustice, told court. "The act has more checks and balances in granting licences than it has in granting approvals.... If an applicant wants to use water for more than 24 months, it should do so through a licence." Fracking involves injecting a mixture of water, sand and chemicals at high pressure deep underground to break the rock and free the natural gas. The practice is seen as a critical component of B.C. 's push to foster a liquefied natural gas industry. Campbell said the environmental groups' examined years of short-term approvals issued by the Oil and Gas Commission and found 83 per cent were repeated more than once, some as many as six times. She argued the law limits short-term approvals to 24 months to ensure companies planning to use water for longer than that obtain full licences. The provincial government filed a written response with the court last month, insisting its officials acted within the law. "The Water Act contains no express prohibition on repeats of approvals," says the government's response. Encana also filed a response, which says the company followed the rules when it obtained its water approvals. The court petition targets 83 short-term water approvals issued to Encana, but the company says 82 of those only relate to water from excavated pits that collect water naturally, rather than from lakes, rivers or streams. The 83rd was for a body of water known as Wasp Lake, but that approval expired last year, the company says. Last week, the provincial government outlined a major overhaul of its water legislation with a proposed bill titled the Water Sustainability Act. A new provision in the current version of the bill appears to allow the government to issue consecutive short-term water approvals to the same company. The bill says short-term approvals may be issued "whether or not a use approval was previously issued authorizing the person to divert water from the same water source supply for the same water use purpose." Outside court, Morgan Blakley, another lawyer for the environmentalists, said it's difficult to predict what the proposed changes will mean for the legal challenge until the bill is actually passed into law. "Whether or not this provision would essentially gut this lawsuit has yet to be seen," he said. "If the government wants to change the law to essentially legalize what my clients are alleging is unlawful, that's up to the government, but it's also up to the voting public to choose who's in government and what government does."